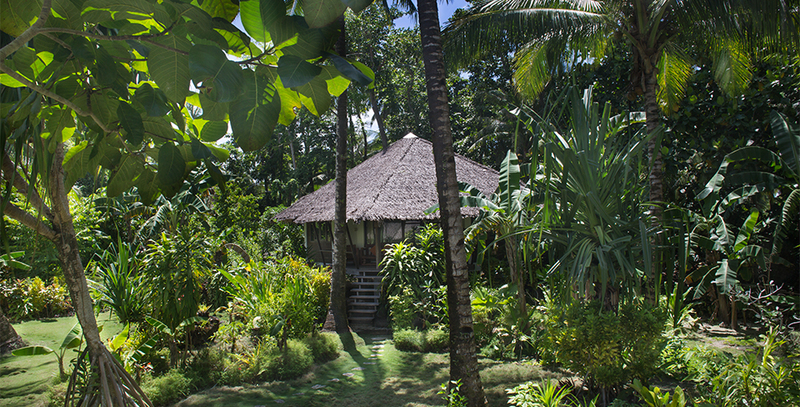 Kawayan Siargao Boutique Resort is designed to provide you with luxuriously private accommodations, a retreat in the heart of paradise. 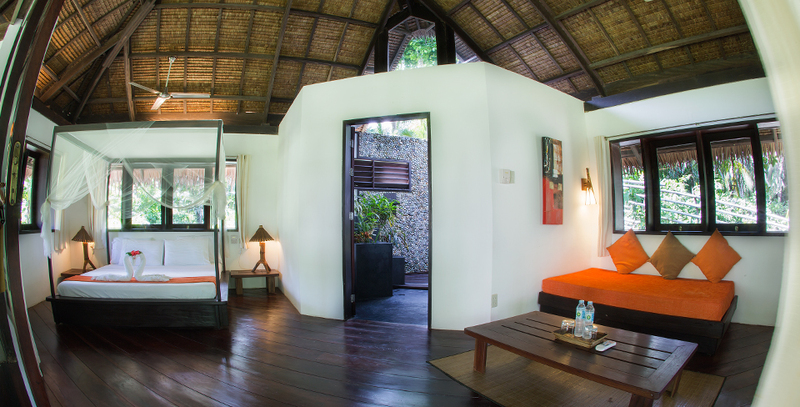 Set on a gentle slope in the midst of an overflowing garden, your villa is designed in a relaxed “tropical modern” style, combining hand-hewn dark tropical hardwood with clean bright white walls and a soaring, thatched roof that is typical of Southeast Asia. 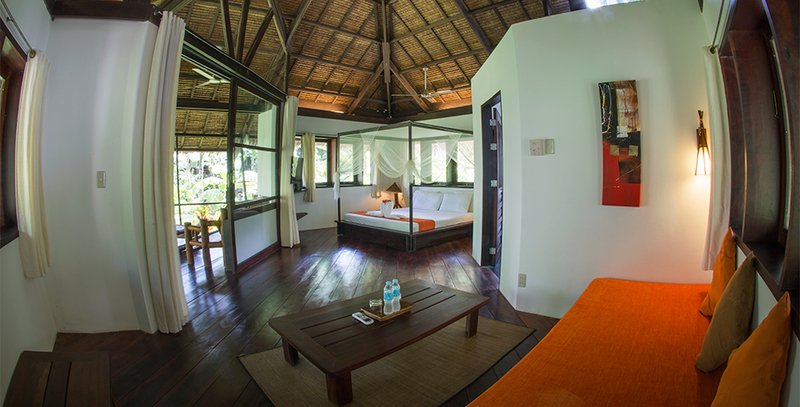 This contemporary island accommodation is complemented with quiet and reliable air conditioning, soft cotton linens , free toiletries and wifi, enabling you to reconnect with outside world at your convenience. 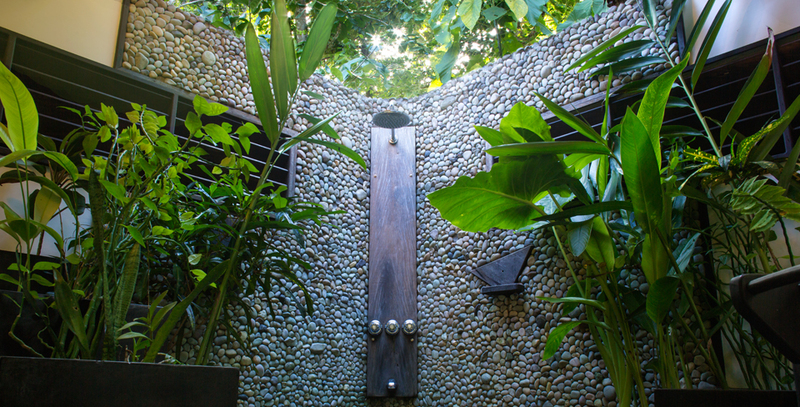 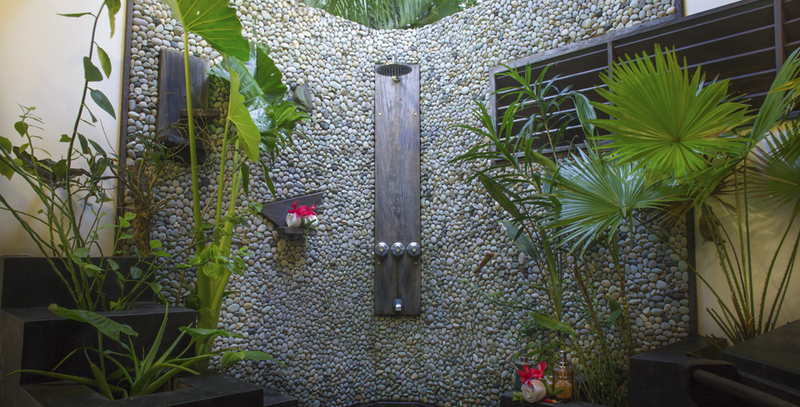 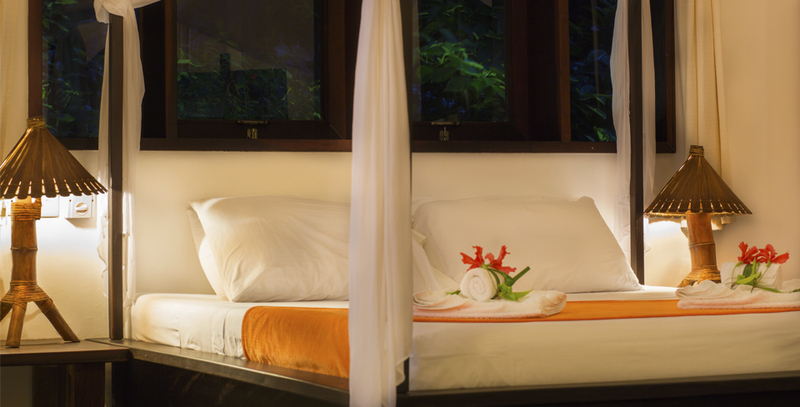 A sensual and exciting feature of each villa is that its totally private and secure with all modern conveniences including a walled outdoor shower. 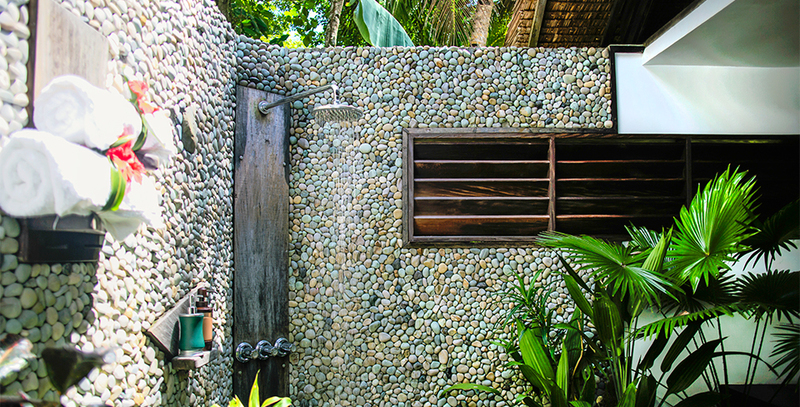 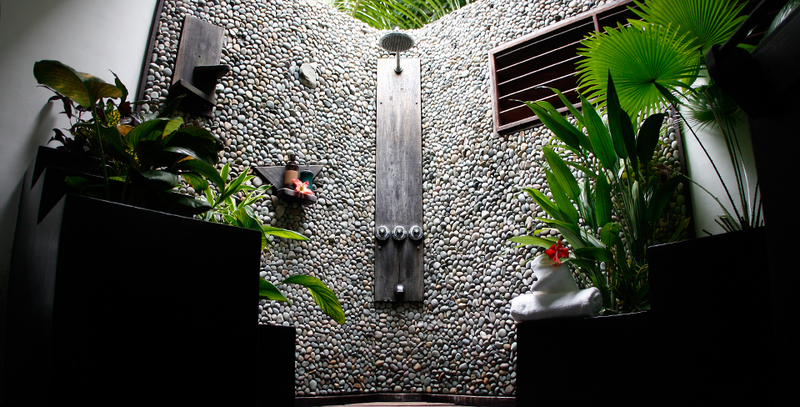 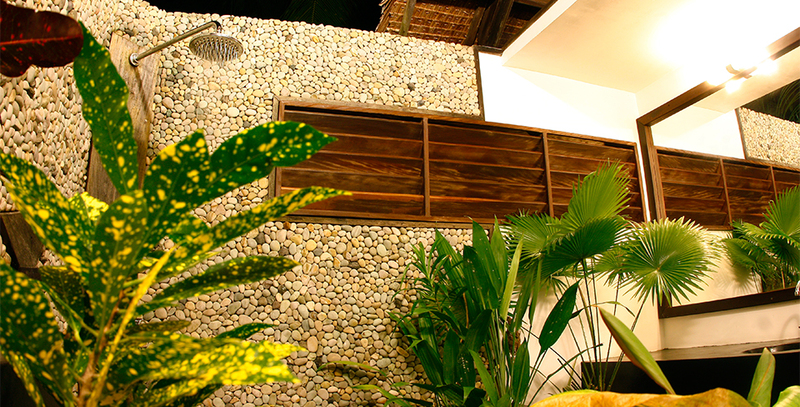 Our tropical "open sky shower" is amongst our visitor's most memorable features about Kawayan Siargao Resort ! 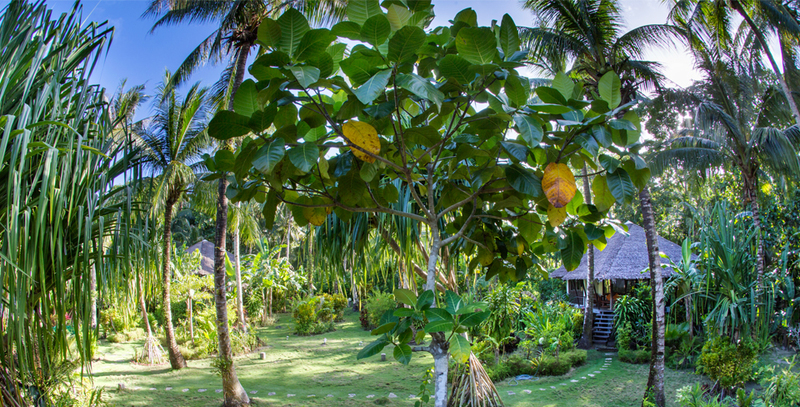 Just a stroll down the tropical garden path from each villa is the main resort restaurant and lounge bar with pool table, where our superlative, innovative cuisine and friendly, yet discreet service are always at your pleasure.